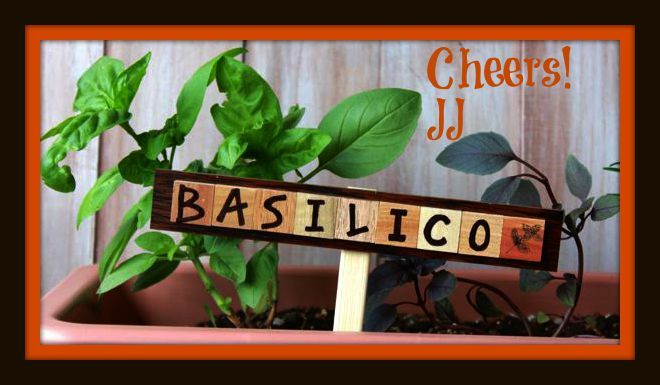 We wait for it all year long, and now we can shout from the rooftops: BASIL IS HERE! 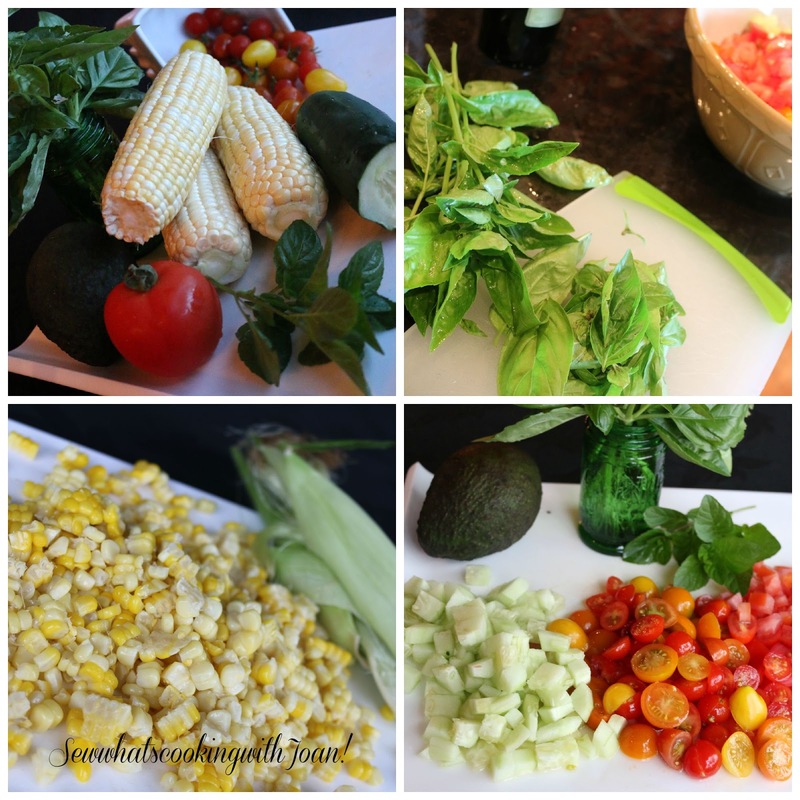 The other day, I decided to take advantage of the overload of tomatoes, corn and basil that is over flowing in our gardens at this time of year. I decided to make this delicious salad for a dinner with my dear brother Greg and his gal friend Susie who came to spend a night with us. I could eat this salad everyday, and I think they pretty much agreed with me!! This salad doesn't have many ingredients- it simply showcases the best of the season. So it works best when everything is at it's best! 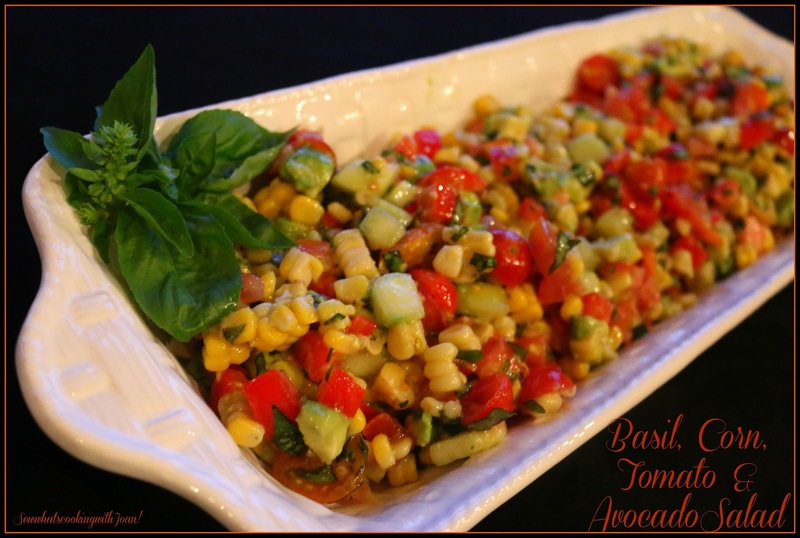 Put the corn kernels, tomatoes, avocado, cucumber and the basil into a serving bowl and season with freshly ground pepper. Whisk together all ingredients. Pour over salad and mix gently. Season to taste with salt and freshly ground pepper. This salad is best same day it is made. Should be served room temperature. Dressed it can hold for a few hours. *You can add red pepper, pitted and chopped black olives, chicken, bacon, shrimp, tofu, green onions, red onion and feta cheese. You could swap out the basil for flat leaf parsley, tarragon, chives, dill or oregano. Here's a few more ways to enjoy this wonderfully aromatic and beguiling herb while it lasts. Make some sauce: Pound it with a mortar and pestle or blend into classic Italian pesto -- or do it the French way, a la pistou-- without nuts. Do a taste test and see which one strikes your fancy. To keep the pesto love coming through the winter, divvy up a batch into ice cube trays and make pesto cubes. Make infused water: Fill a quart jar or pitcher, add a few sprigs of washed basil and let it infuse. In about 30 minutes, you'll be sipping in style and kicking that cucumber water to the curb.....well maybe not exactly kicking it, I love my "cucumber mint water"! The volatile oils in basil contain anti-inflammatory and stress-reducing properties, so this is a good natural remedy to have in your back pocket after a tough day. Zip up your fruit: There is no doubt basil loves playing with tomatoes, but it to team up with other sweet juicy fruits, including peaches (or fuzz-free nectarines), berries and melons. 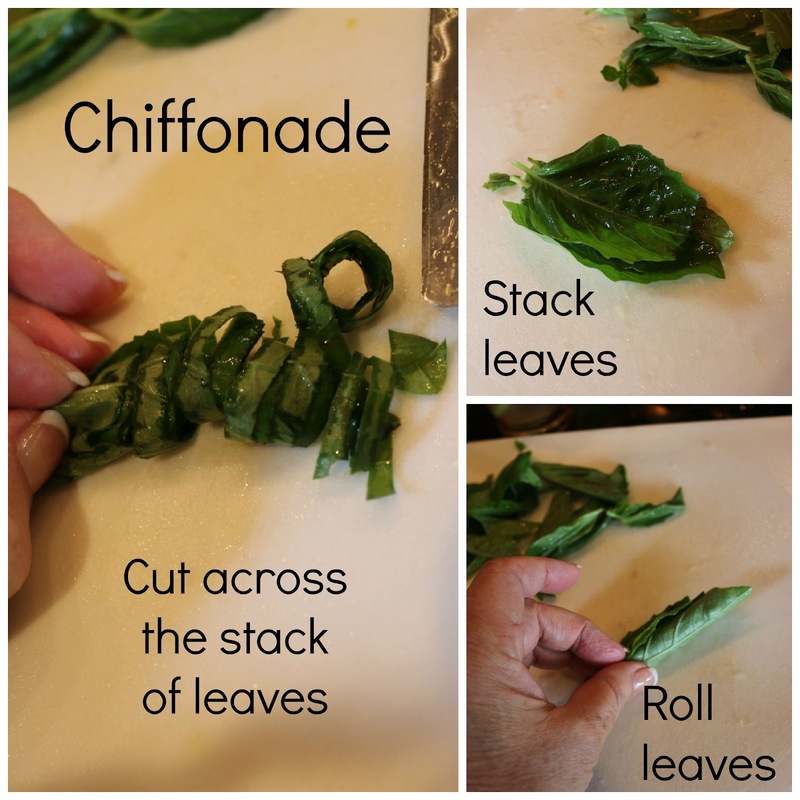 Practice your knife skills and make a chiffonade or snip basil leaves with kitchen shears for a similar effect. Make basil butter: Especially good with corn on the cob, mashed potatoes, steamed asparagus or peas. Billy had Basil mashed potatoes last night, he absolutely loved them!! Or Make basil oil instead: Blanch the basil in boiling water for 30 seconds, then run under cold water and pat dry. Puree in a blender with 1/2 cup of olive oil. Transfer to an 8-ounce jam jar, along with an additional 1/2 cup of olive oil, and shake whenever it gets separated. 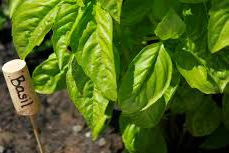 Strain any residual basil after a week and keep in the refrigerator for up to a 1 month. Drizzle on toast, on salad greens, into soup or pasta.